Yes, there is Surf in The Caribbean! The Caribbean Sea is often associated with warm, tranquil, turquoise waters, white sand, and ideal weather. But to the surprise of many, the Caribbean is actually home to a myriad of world-class surf breaks scattered throughout the various island nations. Most people presumably think of umbrella drinks when they think of the Caribbean Islands, not pumping hollow waves that are perfect for a surf holiday. Looking at a map, it’s hard to tell where swell comes from in the Caribbean, so many people assume that there is little to no surf in the region. Unlike the West or East Coast of the United States, the Caribbean islands are susceptible to swell from multiple directions, making our Caribbean surf camp a must for any traveling surfer’s bucket list. 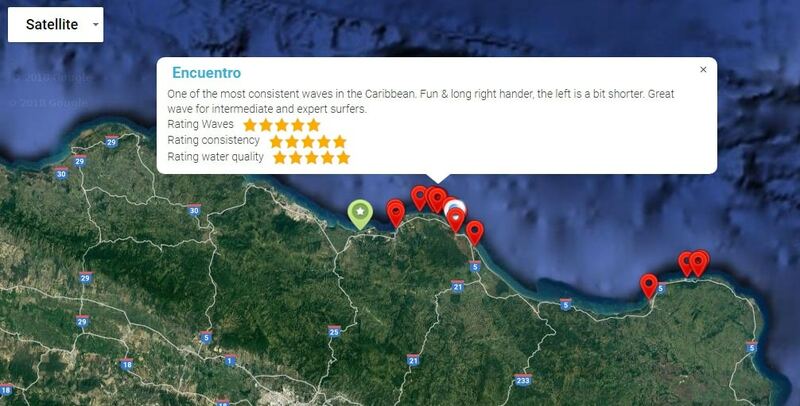 There is consistent year-round swell in the DR that will provide waves for any beginner or intermediate surfer. During the fall and winter months, however, the surf picks up in size and consistency, making the Dominican Republic the warm water destination for any expert surfer who is tired of the cold. For people who have never surfed before and want to start their wave riding careers, any time of the year is a good time. When the waves get big we stay at the inside and surf the mellow inside part of the wave. Experts surfers have 2 options on the North coast of the Dominican Republic: The winter season will bring north swells with waves ranging between head high and double overhead on a very consistent basis. The other option is to do a strike surf mission to the north coast the moment a hurricane goes well north of the DR, this will produce good surfing conditions for 4-5 days. The Caribbean is vast, and its surf spots are spread out among the various islands. They can be organized into the leeward (protected from the wind) and windward (upwind to the east) islands. It’s the general rule of thumb that the windward Caribbean Islands receive much of the same swell that the East Coast of the United States receives (North Atlantic), with the added bonus that there is no large continental shelf inhibiting the swell before it reaches the islands. The leeward islands receive surprisingly powerful north swells that originate in the Gulf of Mexico or the Caribbean and generate surf on the northern coasts of the islands. 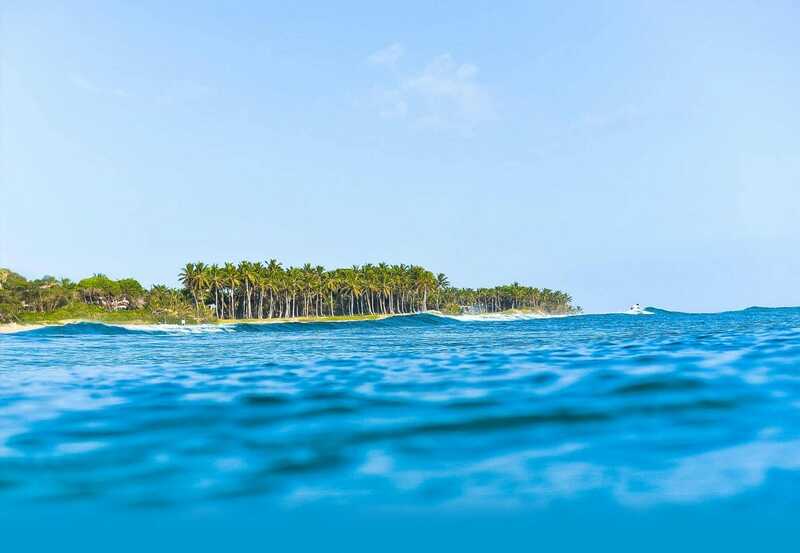 Here at Swell Surf Camp, located on the Northern Coast of the Dominican Republic in the beautiful town of Cabarete, we have a variety of surf breaks to give guests of all levels their flawless day in the water. The local breaks work best with a north swell. North swells are most frequent during the late fall and winter months and even into the early spring. Large North Atlantic swells occur when cold air from North America, usually eastern Canada, travels down and combines with the Gulf Stream (a warm air wind system) and creates a low-pressure system. This low-pressure system produces a large amount of wind which travels over the Atlantic or Gulf of Mexico and generates fetch. Fetch is best defined as the area over water that wind blows in a consistent direction resulting in the generation of swell. This swell travels hundreds of miles over the Gulf of Mexico and the Atlantic into the Caribbean Sea where it collides with the Dominican coastline’s sandbars and reef systems creating ridable waves on the north coast of the DR. When these systems intensify, they are known as “no’r Easters,” and wreak havoc on the East coast of the United States. Swell Surf Camp is located on Playa Encuentro, on the Northern Dominican Coast. Playa Encuentro is positioned perfectly to catch North Atlantic swells as they track down the East Coast of the United States. There are a number of surf breaks along Playa Encuentro that will satisfy every level of surfer, from friendly beach breaks to fast, barreling reef breaks. On a proper north swell, usually during the winter, Coco Pipe will go off. There is a left and a right, however, the left is pretty short. The right, on the other hand, can produce picturesque barrels. This wave is not for beginners. It has a shallow reef bottom and a fast, critical drop in. As its name will tell you, The Left is a long, dreamy left-hander that peels far down the beach. Like Coco Pipe, The Left breaks fairly shallow, meaning it is not for beginners. The main peak at Playa Encuentro offers a left and a right. The right is mellow and skatey, perfect for practicing turns. 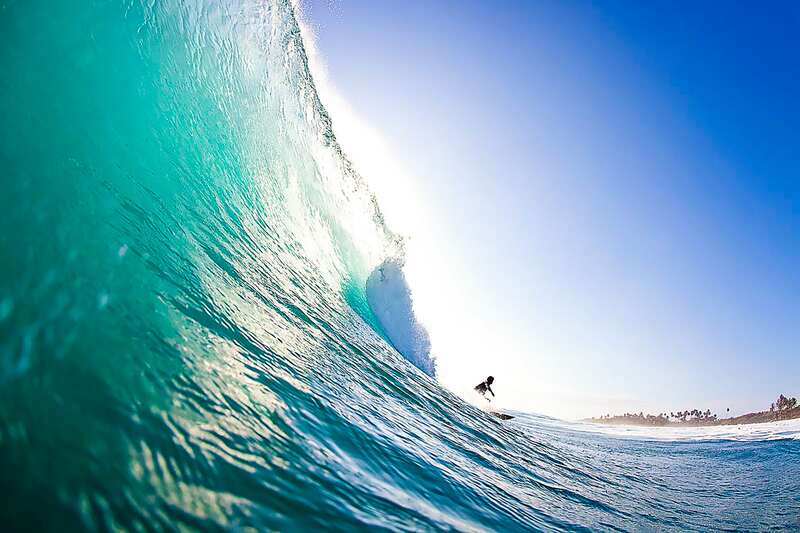 This wave is ideal for intermediates and experts. Bobo’s offers lefts and rights with some barreling potential. The inside waves at Bobo’s offer are ideal for beginner surfers. Our learn to surf camp lessons will begin at Bobo’s. Fast, shallow, and hollow, Destroyer’s is popular amongst body borders and daring expert surfers. Destroyer’s works best during the winter months on a large, north swell. While it is difficult to access and requires a long walk to reach it, the wave at El Canal offers a great left that works well during winter north swells. A friendly beach break that works well during summer mornings before the winds kick in. As its name suggests, Playa Grande is a large stretch of beach offering multiple peaks. Playa Grande is best during the winter months. One of the best waves on the island ( in fact one of the best waves in the Caribbean) however its not super consistent, it’s needs specific north swells to really start working well. When it’s good, expect a great barreling left over reef, and a shorter right. Surfers need to be confident in powerful reef breaks before paddling out here. Offers a quality right-hander but is known for its powerful riptide and currents. Not beginner friendly. If you found this article interesting and want to start planning your Caribbean surf trip, then have a look at our extensive Dominican Republic Surf Travel Guide. Or if you are interested in join Swelll for a unique adventure holiday, then have a look at our surf packages and contact Clare today to reserve your Caribbean surf Holiday with Swell. 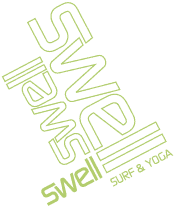 Swell offers luxury Surf & Yoga Holidays, but it’s not just surfing and yoga that is on offer; located in the action sport capital of the caribbean is the surf town of Cabarete. In Cabarete you can surf in the morning, learn to kitesurf in the afternoon and finish with a Yoga session at sunset. Other activities include: Canyoning – Mountain Biking – Horse riding – Diving – Snorkeling – Windsurfing and Stand up Paddle surfing. In short if you are looking for an action packed adventure holiday, then visit us in Cabarete.